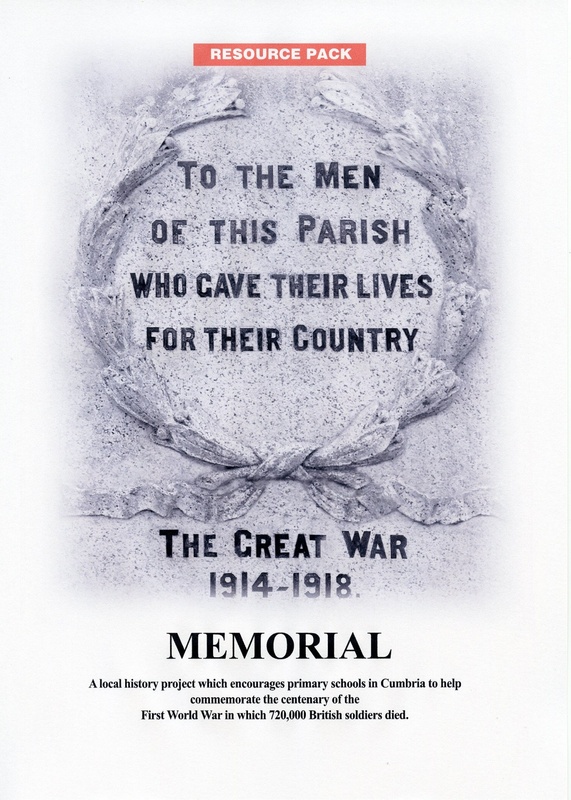 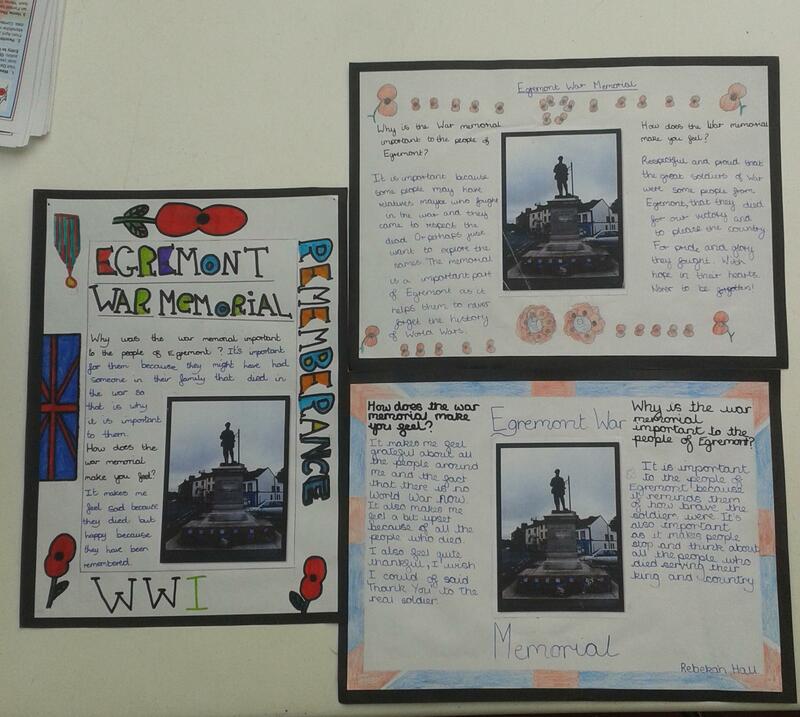 These images relate to a schools project run in 2014 by CCHT and CWAAS, sponsored by Claire Hensman, Lord Lieutenant of Cumbria, in commemoration of the Centenary of the start of the First World War in 1914.The project was designed to encourage children in primary schools throughout the county to look at their local First World War memorials, as a spring-board to researching the local impact of the war. 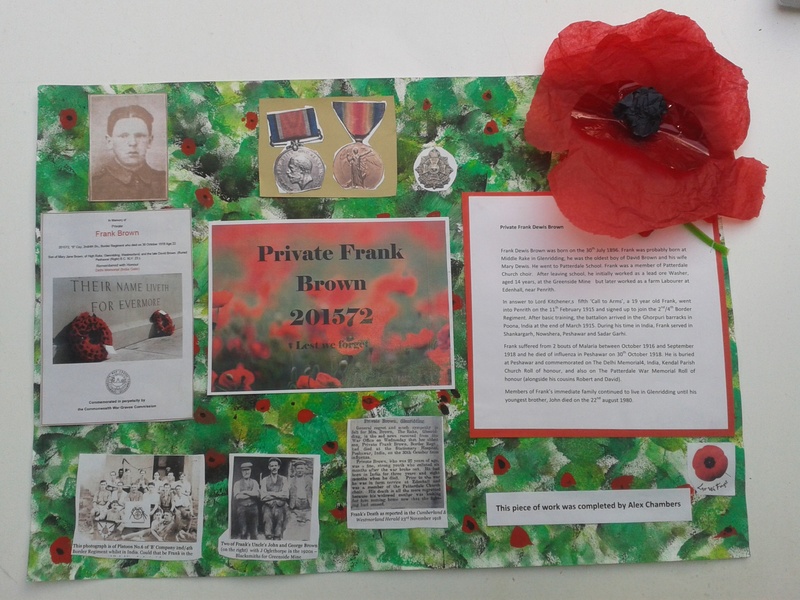 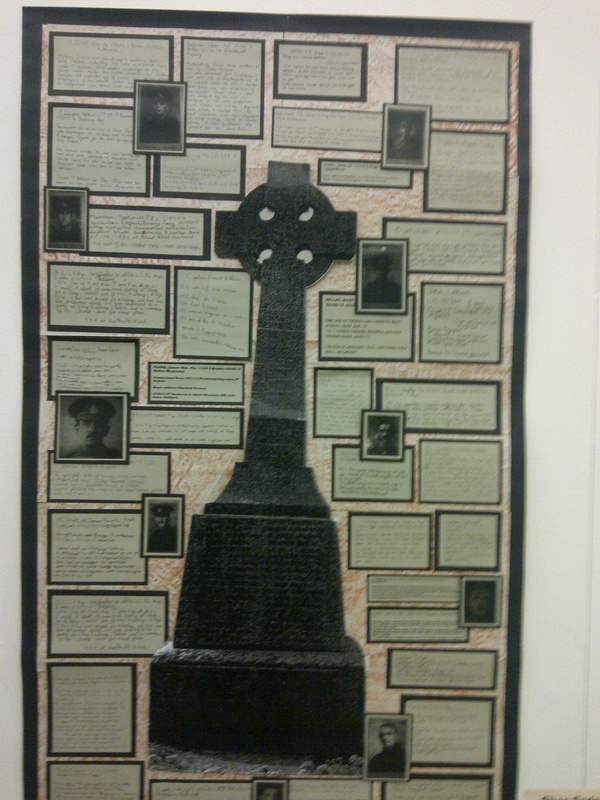 More than sixty schools participated in the project and between 18 July and 2 Septmeber 2014, the ‘Memorial’ exhibition ran at Rheged, Penrith, show-cased the work of children from sixteen of the schools. 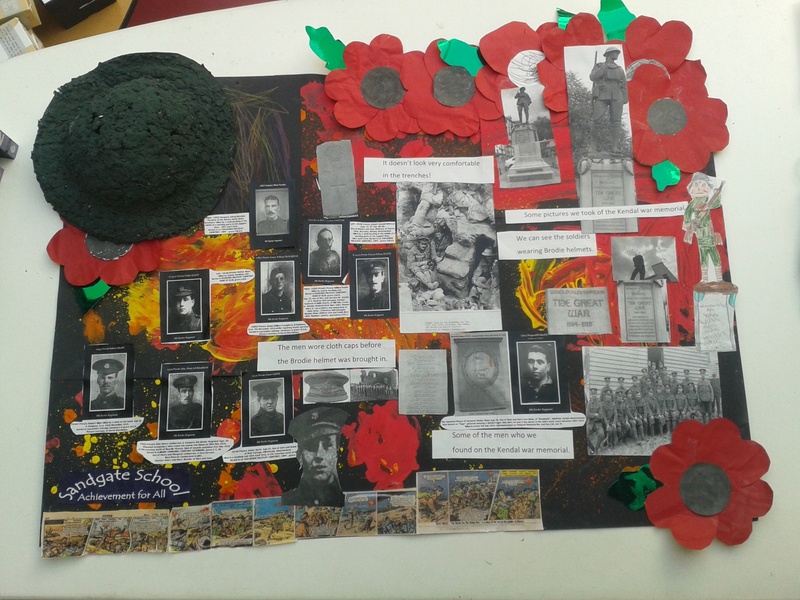 The children’s work was exhibited on specially sculpted wooden memorials made by local artist Oli Robson, and was laid out in the form of a trail stretching from the ground floor to the second floor gallery.